My personal attachment with Discovery started back in 2010. I finally came face to face with it, this past weekend when I visited it in its final resting space. Discovery, after a successful 26 year career, shuttling astronauts to the space station and more, finally rests at the Udvar Hazy Smithsonian Museums in Dulles, VA.
Saturday was a gloomy and rainy day on all counts. It upset our plans to fly to Niagara Falls. 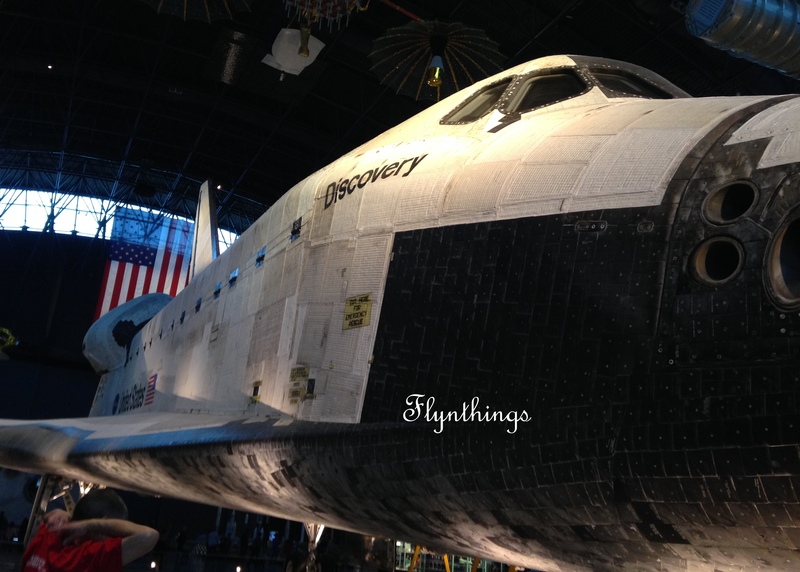 Instead we settled to drive to two museums and two airports that we couldn’t fly into: Udvar Hazy (Smithsonian Air and Space Museum in Dulles and Marine Core Aviation Museum in Quantico), Washington Dulles International Airport (IAD), and Washington (Reagan) National Airport (DCA). I have fond memories of Discovery and of SpaceShipOne and I am happy to say, they both lie a hands throw away! Next Article With Thanks to my 99 Followers for my 201th Post!